Collectively, we Tucsonans drive about 21,000,000 miles every DAY! That's nearly 100 trips to the moon, every DAY! All that driving is putting about half the air pollution into the air we breathe, adds nearly 40% of greenhouse gases into the atmosphere, contributes to stormwater pollution and is costing us a pretty penny. Owning and operating a personal vehicle likely costs $4,000 or more per year. You can shave your driving expenses by simply driving less and incorporating efficiency measures into your driving style. Driving is the largest single source of air pollution in our community. Air pollution causes negative health effects including damaging lungs, trouble breathing, headaches, heart attacks, blood clots, and unfortunately much more. Check out our resources for taking transit, carpool/vanpooling, bicycling, walking and more. Think work commute, and personal travel too! What alternate modes can you use for your work commute? If a store or restaurant is nearby, can you safely walk or bike there? If you are going somewhere with friends, can you carpool? Are any bus routes convenient for errands? For your work commutes and personal travel, every little bit of driving less helps! It helps you. It helps our community. It helps the air. Giving you more free time with which you can read, visit with bus-buddies, etc. 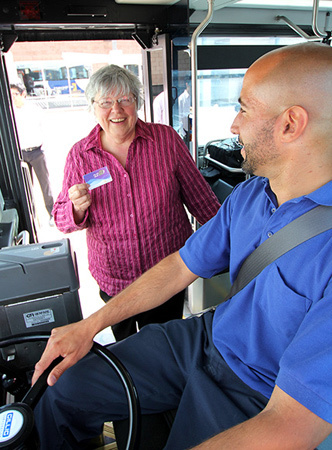 Sun Tran services more than 20 million passenger trips each year in metropolitan Tucson. The busses are clean-fueled vehicles using compressed natural gas, biodiesel, or biodiesel/electric hybrid, which reduces pollutants significantly. Fares cost $1.75 for a one-way trip on a regular route, and $2.25 for a one-way trip on an express route. You may ride Sun Tran using exact cash or their SunGO card. Use Sun Tran's website or phone (520) 792-9222. Don’t Live Near a Bus Route? Drop your vehicle off at a Park ’N Ride lot, or ride your bike to a bus stop. Bike racks are at the front of the bus so you can take your bike with you. View a map with Park ‘N Ride lots and transit centers. Bicycling has excellent health benefits and is the most efficient mode of transportation. There are more than 800 miles of bicycle routes in the Tucson area, and the routes keep expanding. Check out the latest Tucson Metro Bike Map. The Loop is a system of more than 110 miles of shared-use paths around metropolitan Tucson with links to Marana, Oro Valley and South Tucson. When completed, it will be 131 miles and will connect the Rillito, Santa Cruz and Pantano River Parks with the Julian Wash and Harrison Road Greenways. Pima County residents and visitors on foot, bikes, skates, and horses can enjoy miles of these paths without having to worry about motorized traffic or emissions from tailpipes. 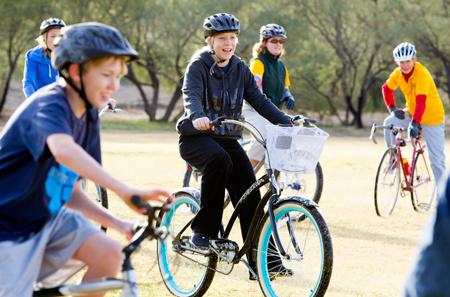 Pima County and City of Tucson sponsor FREE bike safety classes, taught by League of American Bicyclists instructors. Classes are free and open to residents of Pima County. Classes are targeted to different audiences such as children, fitness enthusiasts, group riders, women-only, and those interested in bike mechanics and maintenance. 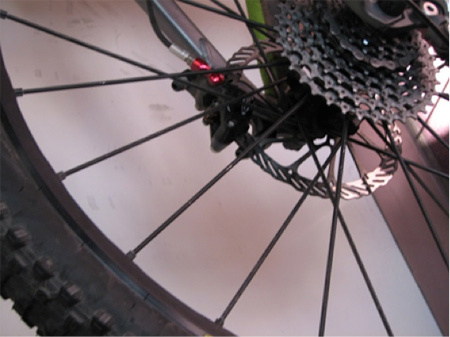 Participants in the bike classes will receive the choice of a FREE U-lock, front/rear bike light set, multi-tool, or helmet (items provided depend upon the class). One-on-one bicycle safety training and route selection is also available. Find out about state pedestrian laws, the regional pedestrian plan and more bicycle and pedestrian programs from the Pima Association of Governments. What’s Your Neighborhood Walk Score? Find out your neighborhood’s Walk Score. Once you enter your address to find your score, you can enter your destination address, and compare how long it takes to get there by walking, biking, and driving. You can also get an overview of your housing and transportation costs, and see a glimpse of amenities available in your neighborhood. Carpooling is when two or more people ride together in a single private vehicle instead of each driver driving their own vehicle. A vanpool is when a group of commuters share the ride to work in a commuter van. Here in Pima County, vans are provided (and subsidized) by the Pima Association of Governments Sun Rideshare program. Not sure who lives and works near you with similar schedules? Want to find an existing pool or start a new one? Check out the Pima Association of Governments Sun Rideshare website for a free match list of potential carpool or vanpool buddies and more detailed information about the programs.